My heart and mind have been reeling over this since I heard about it yesterday afternoon. 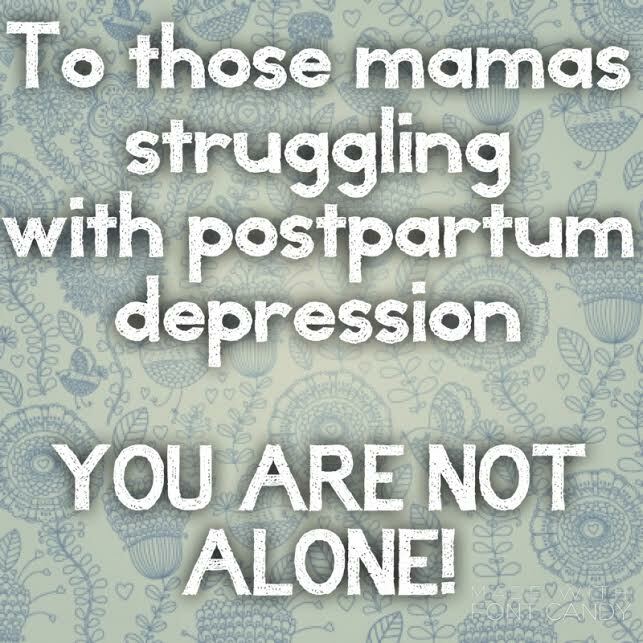 As someone who has experienced, explored and educated myself on all things birth related for the past 20 years, postpartum depression has now become a subject that MUST be discussed, focused on, looked at and supported so something like this never happens again. I accept that this sweet, beautiful mother had no intention of killing herself when she disoriently strolled onto the freeway. What went wrong? Why did this have to happen? Maybe it was no accident. Maybe Emily was one who unknowingly sacrificed herself to help and aid all the other woman who struggle living within their own heads and bodies entrenched in a hell even themselves can’t express. I may not know postpartum depression like some mothers do though I do know severe depression and the intense hold it can have on anyone. I come from a long line of depressed woman and of course, have felt the depths of pain, confusion, terror, panic sorrow, shame and the list goes on, that depression brings with it. I have dealt with my own sense of postpartum depression with each of my babies which leads me to feel I can relate to those suffering. I also accept I might never know the whole of the sensations that come with it. Yet, I deeply long to uplift and change what is currently taking place in the hearts and minds of these tormented women. I am fiercely intent that I will do my part to help, support, uplift and educate woman through all the ups and downs, ins and outs that come with conception, pregnancy, childbirth and postpartum care. I don’t know the reasons this happened to Emily and her family. What I do know is Emily’s story has now opened another doorway for all woman silently suffering from PPD to feel they are not alone. There are many who have seen your pain and anguish and long to help! As stated in the video above, my experience and research tells me that Emily’s particular situation might not have been caused by PPD but by PTSD. That’s right, folks. Post Traumatic Stress Disorder! As also stated above, Emily’s husband points out that she had a very difficult birth. I know it may be hard for some to believe but PTSD stimulated during birth is REAL!! The actions of others, unexpected birth experiences, complications, c-sections, etc. All of these things can play a part into the psyche of each woman during her birthing process. When we birth, we open a door into the mysterious and unknown that is universal in all woman. This is a vulnerable state like no other. I am convinced birth invites a whole body and mind experience where a woman is at her most open, raw, and intensely vulnerable. Unfortunately, this is taken advantage of on a daily basis by all kinds of care providers. My experience has shown me we do see it mostly in hospital with doctors and nurses. While I appreciate these care providers are doing what they have been taught and what they think is best for Mama and baby. I’m not convinced choices and actions are made in a state where the emotional and spiritual components of birth are highly considered. Doctors and nurses are knowledgeable and have been taught about the physical mechanics of birth though I see little if any consideration for the emotional, psychological, or even spiritual actions that birth inherently brings with it. You can’t change that. A woman’s birthing experience can be for good or to her detriment dependent on only 3 things: 1)Who she chooses as her care provider. 2) How much or how little education she has on all aspects of childbearing. 3)The needed support of mother, family and friends to help her create the right birth experience for her. Its really that simple and yet not that simple. We have so many differing voices on so many differing subjects when it comes to birth. I do know that there are answers to these sorts of problems. This is just the beginning of more posts to come of the negative and positive effects of how and where we birth. I’ll save those for later then. What is just one of the answers that might of helped Emily? Placenta encapsulation. I don’t mean to sound trite or simple since her problem seemed more complex. Placenta encapsulation is THAT powerful, THAT beneficial and THAT effective. I do believe this is something that could of changed Emily’s outcome. Lots of research is going into placenta encapsulation right now. My 8 years experience of encapsulating placentas has only taught me that its a MUST for every postpartum mama! Placenta ingestion truly IS the first step to creating a balanced, happy and peaceful postpartum time. The many wonderful positive effects I have seen with the hundreds of placentas I have encapsulated leaves me passionately believing it is truly a gift from above to help mamas and babies bond, heal, recover and connect. My logic tells me its natural and normal to give mamas back what was lost during pregnancy and birth and that is done through placenta encapsulation. This, in itself, does more good than we know. Jump on over to my product site at shop.livingmombirth.com to find out more. Watch the testimonial on my placenta encapsulation page on how it might help you too! Our hearts and prayers are with you during this time. We are so sorry for your loss yet so grateful for your efforts with The Emily Effect to help others know of her story. Wherever you are, we LOVE you Emily! New Utah Raw Foods Support Group! JOIN NOW! !